So I was so excited because my Nike+ shoes just shipped and I received them today even though they weren't supposed to come until tomorrow and I thought I'd miss them. 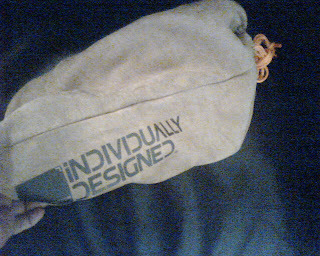 ...and Nike does a good job of packaging this stuff - I think they've taken a lesson from Mac on this one because it's all very nice and the shoes come in this cool little bag. ...but when I whip them out I see that they say "FAST I AM" - LOL - oops! I went to double check the order online thinking that this may have been the first time I actually made a mistake but that wasn't the case...of course..what was I thinking. So I hitup this little chat thing on their website and the dude is sending me another pair. He was pretty cool and it's nice to chat with a CS person like Larry...and since I can use these shoes in the meantime I'm happy with that solution. 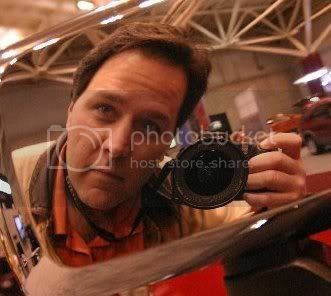 Larry: Hi, my name is Larry. How may I help you? Larry: Ok, what is your order number please? David: not a big deal and I'd rather not have to return them and wait for new shoes...is their another solution. Larry: But, you will need to return the shoes. Larry: Let me take a look at your order! Larry: Would you like me to order a remake? David: How long will that take? Larry: Unfortunately same time frame. David: ...and that's the only option you offer? Larry: I am afraid so. 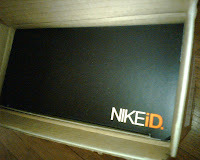 I can send you a prepaid return label to return your shoes and then have NIKE iD remake them. Larry: May I have your order number?? David: Great! I just received them today and haven't even laced them up but as long as I can use them while the others come then I am happy. Larry: Ok, I have requested the label. David: Fantastic. I appreciate your time. Larry: Anything else I can do? David: No problem...I make plenty of mistakes myself so it's all good. That's all I needed. it's like Nike is using Dr. Seuss for inspiration with your shoes! bwahaha. Fast I am sounds pretty cool actually. Nike has the easiest return policy .If your air gel pops at any time, they will accept it as a defect and give you credit for your shoes. 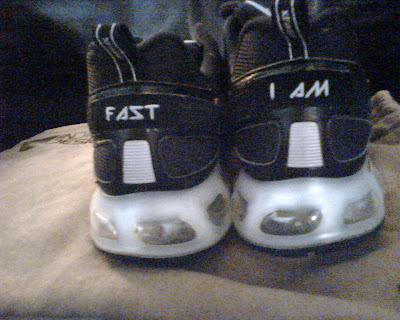 I think you should stay with "Fast I am"... thats way to funny not to keep. Fast I am, Jedi Knight now you are.